Is Tippy Toes Towel the Most Worthless Product Ever? Tales of visionary inventors and entrepreneurs provide inspiration. The examples of fearless innovators like Steve Jobs and Thomas Edison motivate many aspiring business owners to keep striving toward their goals. 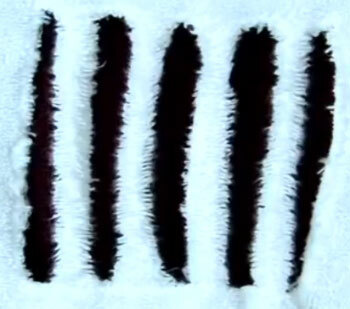 Much like the Recip-Ease, Tippy Toes Towel is an unfortunate instance of someone trying too hard to invent a product. Maybe that torn up old towel in your bathroom shouldn’t inspire you to innovate; maybe it should just be thrown away. Perhaps wetness in-between toes really is a common hardship that many have struggled with silently until now. But even if the product doesn’t catch on as a way to dry toes, they can at least rebrand them as Freddy Krueger and Wolverine theme towels. Seems like an idea that would get a C- as some sort of 8th grade class project. I got one and it works great! Have you try it? What are you talking about? I agonise for minutes trying to dry my toes, every day. This is just the natural evolution of the towel. make it seem like a deal. I won’t even comment on the product itself because even the most useless-seeming thing might have a use to someone out there, but I want to comment on the commercial itself. It’s probably the most half-assed commercial I’ve ever seen and I’ve witnessed some bad-awful commercials from some of the local businesses. The voice-over guy sounds kind of like a used car salesman. Tippy Toes Towel is back! It´s on pre-order. I just ordered two.It’s amazing product.